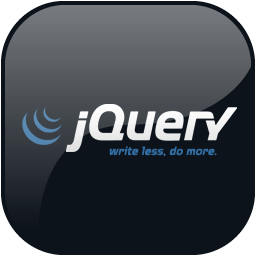 jQuery selectors are the one of the most important aspects of the jQuery library. They allows you to select and manipulate HTML elements as a group or as a single element. jQuery selectors support the Cascading style Sheet (CSS) syntax to select HTML elements by element name, attribute name, or content. jQuery also provides the CSS selector to change CSS properties of HTML elements. returns all the elements from the group of elements matching specified attribute. returns all the elements from the group of elements matching specified attribute value. returns elements on the page on which animation is performed. returns all input elements with type button. returns all input elements with type checkbox. returns all the checked input elements from the group of elements. returns all the element with the specified class names, use to select elements having multiple classes assigned. returns all the element with the specified class. returns elements that contains text matching the specified text. returns all disabled input elements. returns all the element with the specified element name. returns all elements that do not have child element nodes. returns all enabled input elements. returns the elements at the specified index in the page. selects all the elements at even position in the page. returns all input elements with type file. first - returns the first element from the group of elements. returns a list of element with index greater than specified index. returns all the header elements on the page such as h3,h3,h5 etc. returns all hidden elements in the page. returns the element with the specified id. returns all input elements with type image. returns the last element from the group of elements. returns a list of element with index less than specified index. returns elements that does not satisfy the specified condition. selects all the elements at odd position in the page. returns all input elements with type password. returns all input elements with type radio. returns all input elements with type reset. returns all selected input elements. selects all the elements in the page. returns all input elements with type submit. text - returns all input elements with type text. returns all visible elements, elements that are not hidden.